Homer’s local needle exchange wants to install sharp disposal boxes in bathrooms around town so residents can safely dispose of syringes. The volunteer-run organization provides free sterile syringes, lifesaving Narcan kits and on-site HIV and hepatitis C testing, among other services. Dr. Sarah Spencer oversees the exchange, and she said volunteer staff have been discussing this project for a while. She said it isn’t just people using illicit drugs who are in need of sharp disposal boxes. 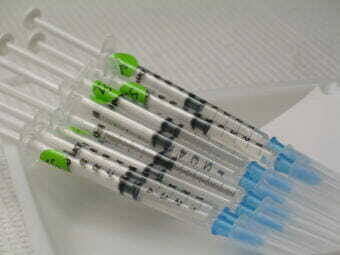 People who inject insulin and other medications also need safe locations to dispose syringes. Spencer said the Exchange will likely start with a pilot program consisting of roughly 10 boxes around Homer. She said the program will survey its clients to decide where to place the boxes. The Exchange would provide the boxes and would take responsibility for emptying them. Spencer adds that the a recent Homer News story about 100 syringes found on the Homer Spit seemed to concern residents. However, she says that number is small compared to how many syringes are coming into the Exchange. Earlier this month, the program received roughly 4,000 syringes. Spencer said the Exchange will be able to lock the boxes so people won’t be able to reach into them. She adds that the cost to purchase and maintain them is relatively low. However, the money isn’t secured yet. The demand for Exchange’s services has far outpaced its grant funding. Right now, volunteers are using their own money to purchase supplies. The organization hopes to secure more funds through grants and a Gofundme campaign. If the Exchange raises additional money beyond what’s needed for supplies, Spencer said they hope to install the disposal boxes in January.